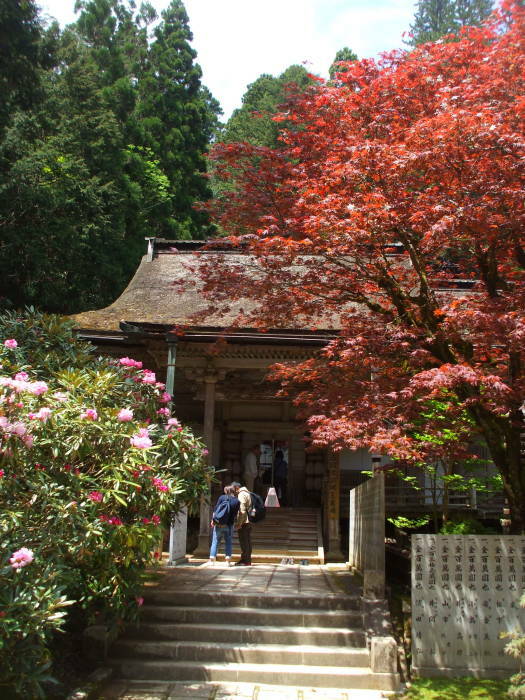 Kōya-san has always welcomed pilgrims. They have stayed at the temples, attending services and eating meals with the monks. The town opened up to tourism in the mid-twentieth century. 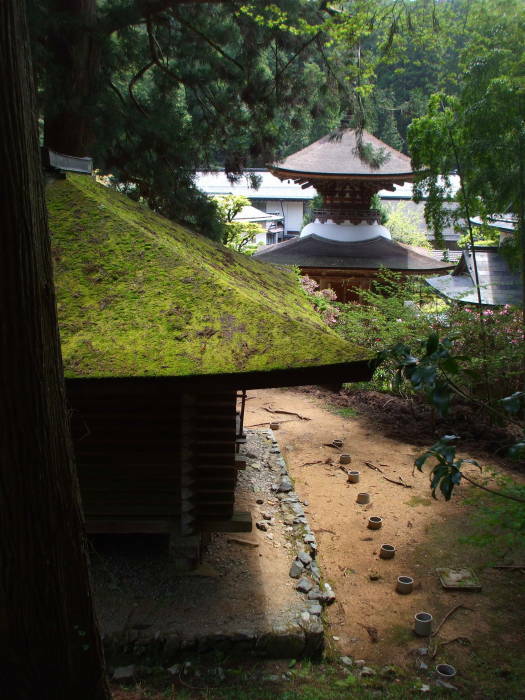 Many temples became shukubō, taking in guests who were necessarily pilgrims. Breakfast and an evening meal are served, and guests are encouraged but not required to attend services. 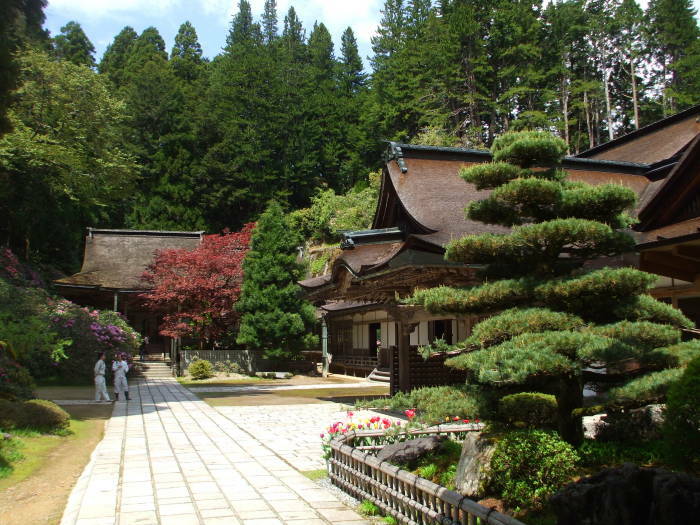 Some of the shukubō temples offer introductory courses in Buddhism, yoga, and meditation. 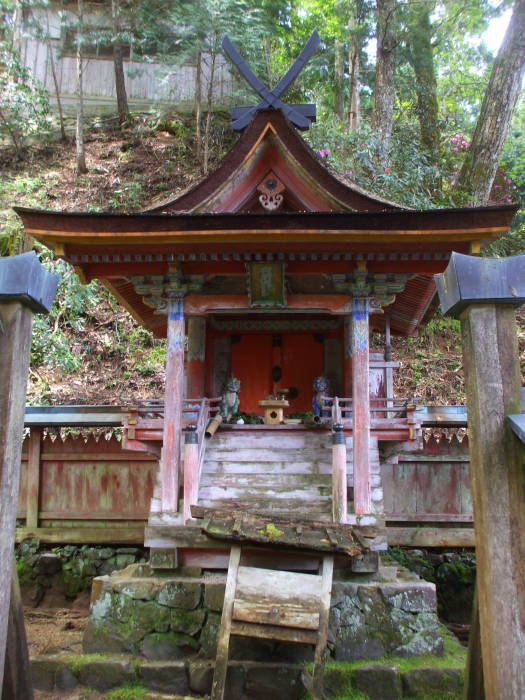 Kongō Sanmai-in is one of the shukubō. From the fire station, cross the main road and continue uphill to the south. 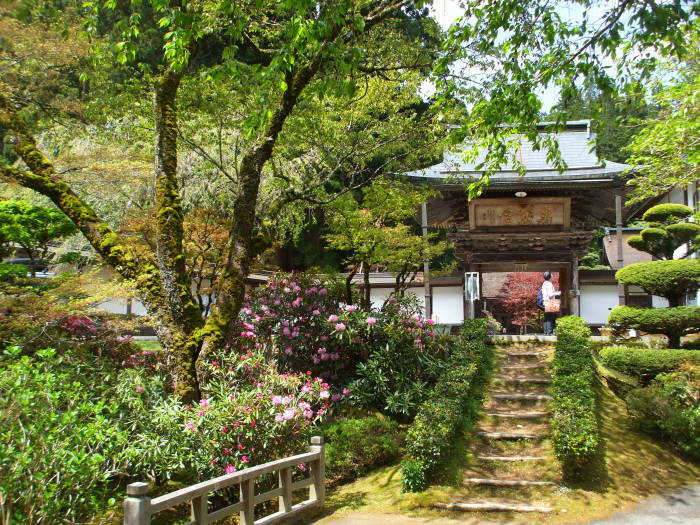 The main Shikoku temple hall was built in 1552. 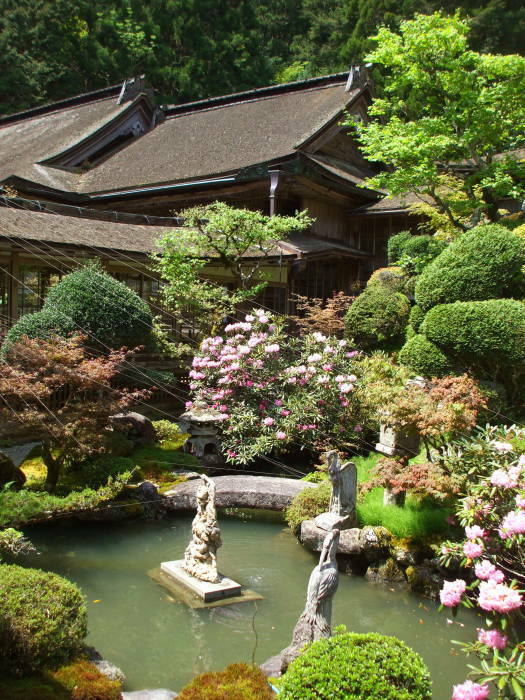 Other components were built through the years of the Edo period. The monastery ran a children's hospital for a while. 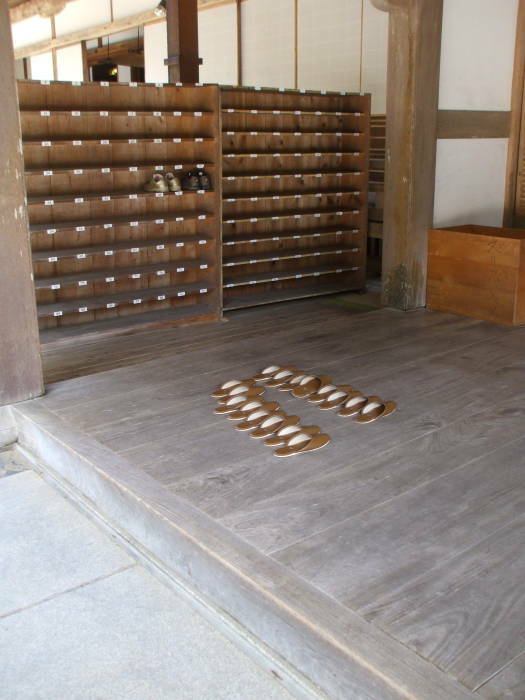 Take off your shoes before stepping onto a wooden surface at a temple. 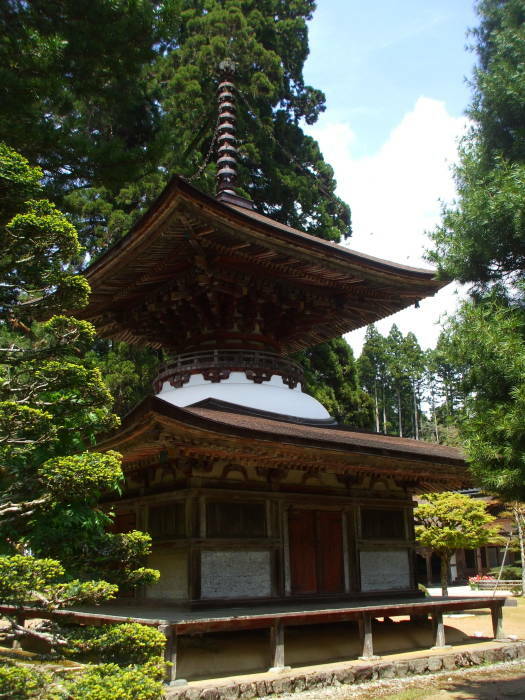 The 15-meter tall Tahōtō pagoda was built of hinoki or Japanese cypress in 1223. 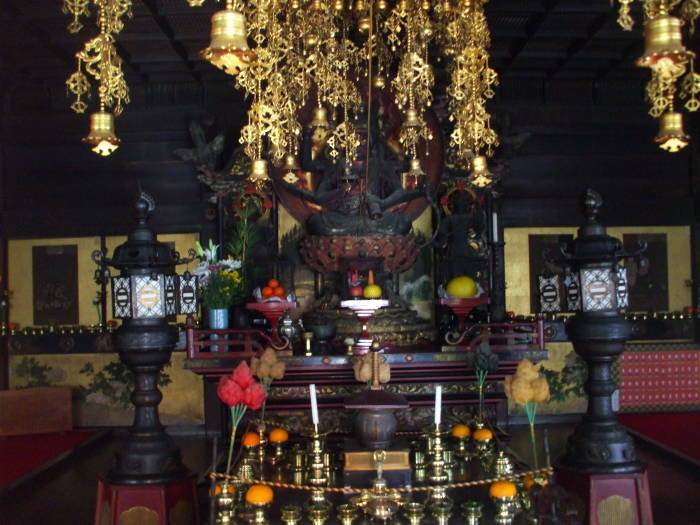 The wife of the first Kamakura Shōgun built it as a monument to her son, who had been assassinated. It's unusual for having two levels. Most pagodas have an odd number of levels. This specific design became unpopular after the Heian Period of 794-1185.